Earn $2.78 in VIP credit (278 points)What's This? The Skyliner Wheel Support gets bikes level for a more natural riding position and also creates a stable platform for keeping the front wheel in place under hard efforts. 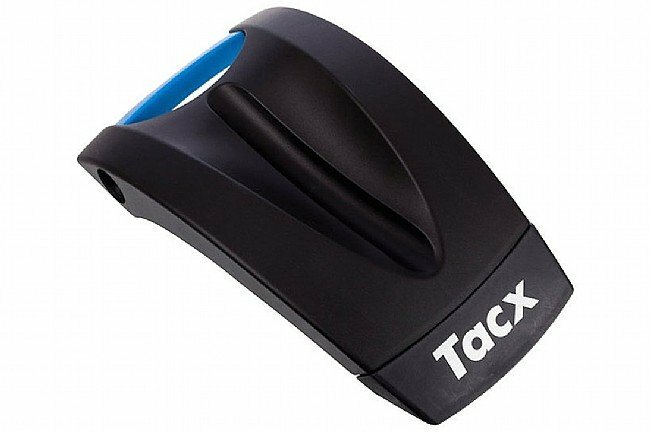 It's also designed to clamp into Tacx trainers to act as a carrying handle when transporting or stowing the trainer. Stabilizes the front wheel while using the trainer. Really nice when putting in a hard effort. Worth the money. Works great with Tacx trainer keeps wheel steady. An introduction to indoor bicycle trainers and rollers. How to get the most out of your indoor bike trainer workouts.